Labor Day weekend. You are all invited. There is a good chance I’ll be teaching and I am totally going to class too. Join me? 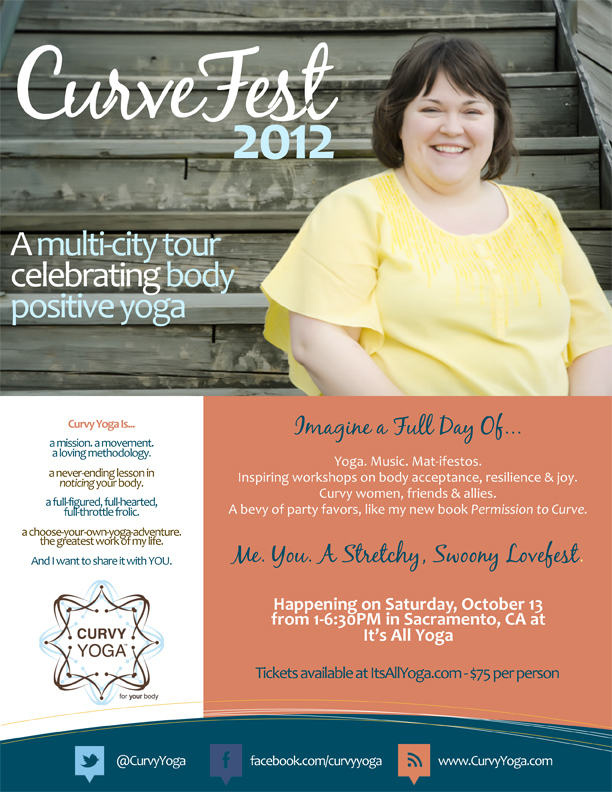 Be sure to “like” Sacramento Free Day of Yoga on Facebook to get all the details. I wish I had a dime for every time someone asked about a book club. And don’t get me started on the scheduling! Meredith from the Pondering Yogini has the answer: Online Yoga Book Club! I know this isn’t happening until October, but I’ve already signed up. Anna is such an inspiration to me and I am thrilled to have a chance to practice with her. Please join me and sign up today. Tell me about the awesome yoga happenings/events in your life. This entry was posted in A Yoga Story, Books I Love, Life At Home + The Neighborhood and tagged #elef, #yobc, Anna Guest-Jelley, CurveFest, Free Day Of Yoga Sacramento, It's All Yoga, Pema Chodron, Sacramento, Sacramento Free Day of Yoga, Start Where You Are by Teacher Goes Back to School. Bookmark the permalink. it’s all such good stuff!!! and i saw at avid reader (where i went in a pinch/moment of need) that pema has a new book! michelle! thanks for the tip. i shall order it from the library because that’s how i roll.